Moving Service knows the importance of having a house move that is relatively stress-free. Although last minute stuff is able to come up, we know that being able to have a reliable and trustworthy removals company in Pinner to do all the work for you, is a feeling that is second to none. With over 10 years of experience in the removals business, we are always there to give you a helping hand with your relocation and best of all, we are local to Pinner, HA5 and its surrounding areas. We always aim to deliver outstanding services, so if it’s a man with a van you’re looking for, give us a call on 020 8746 4402 to see how we are able to help today! It is a small suburban area in West London that is based in the London Borough of Harrow, around 12 miles northwest of Charing Cross with the postcode of HA5. Its origins stem from a Hamlet, first being recorded as Pinnora in 1231, which means that it had not been present before that. It was in the county of Middlesex until 1965 until 1973, when it was taken over by Greater London. 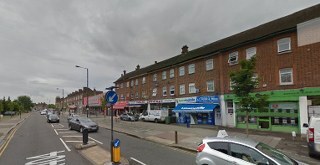 It is a beautiful and affluent area that is surrounded by other areas such as Ruislip, North Harrow, Northwood and Eastcote. Considering that it has tree lined streets as well as safe roads, it is considered one of the most prestigious suburbs of London and many affluent families choose to live here. It has a variety of cultural diversity and many people from different religions and faiths live here. It has a rugby union team, a youth football club, a cricket club, a golf club. Transport links are excellent as the area is served by the Metropolitan Line which is based in Zone 5 and by many London buses going to Ruislip, Golders Green and Central London. Pinner Man With Van Hire Service Available in Your Area Now! Man with a van doorstep service is available all throughout Pinner, HA5 and its surrounding areas as we are based in the local area and love helping the community. With years of experience, our movers make sure that they are always efficient and punctual for everything. Hiring Moving Service means that you will not fall short of any items that you may have needed to take in your own car, because we as the removal specialists in Pinner will be able to do that for you. With a quick turnaround, our experts often are able to come out to you within the day, as we pride ourselves on reliability and swiftness, something we understand during your move, is extremely important. We are always here to help you when you need a removal service company in HA5 to move all your heavy items such as sofas, dining tables, chairs, beds and all the things you aren’t able to do by yourself. We do take online bookings, and provide instant quotes as well as downloadable moving checklists. For more information, please do not hesitate to contact us directly on 020 8746 4402 and speak to one of our representatives. Barely a day goes by without thanking Moving Services for coming out and helping me remove the old furniture in our loft, and move it out to my sisters flat in Pinner HA5. There is no way we could have done that on our own, so I highly recommend this home removals company, they were perfect in all things related to the move.